During this special Open Studios event members of the public are invited to come to the center, get a tour from Art Center staff and try different types of art. Individual and group tours will take place throughout the day. Always wondered what it is like to use pastels, to weave on a loom, to sit at a potter’s wheel? This is your opportunity. 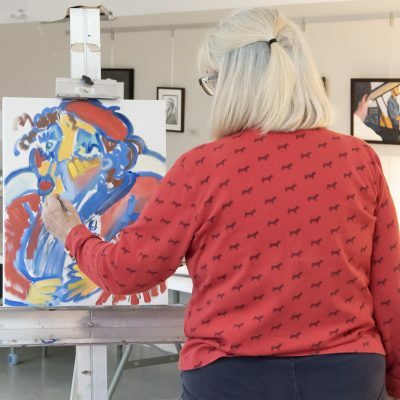 Falmouth Art Center art teachers will be on hand to give demonstrations and offer hands-on activities in drawing, oil painting, watercolor, pastel, collage, pottery, sculpture and weaving. Participation is on a drop-in basis. Stop by and see what is happening at the Falmouth Art Center. Bring the whole family – there is something for everyone!